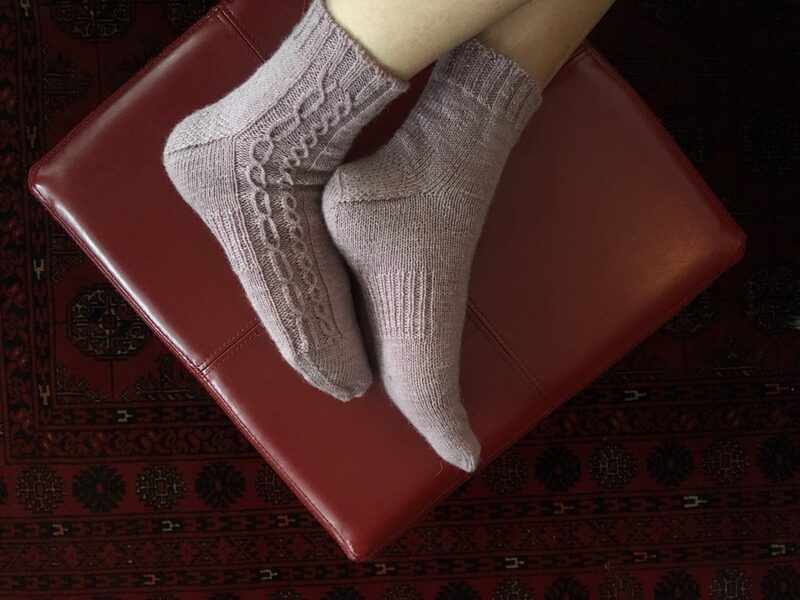 In this episode I share the details of my newest sock design, Venus & Cupid, as well as completed and just-begun knitting projects. 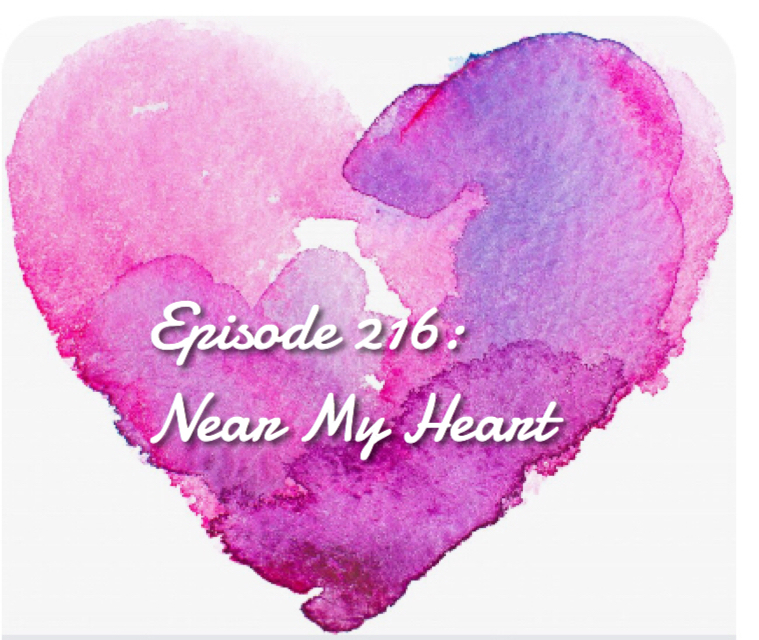 As I often do on this podcast, I investigate how poetry helps me to consider important subjects. Over the past few weeks, I’ve been turning to the poems of Lucille Clifton, both as a source of personal healing and because Clifton’s has been such an important voice on the topics of race and identity. Venus & Cupid is available for digital download on Ravelry at a special introductory price until midnight EST 2.10.19. Your purchase helps to support the work I do in recording and publishing episodes of the Yarns at Yin Hoo podcast. 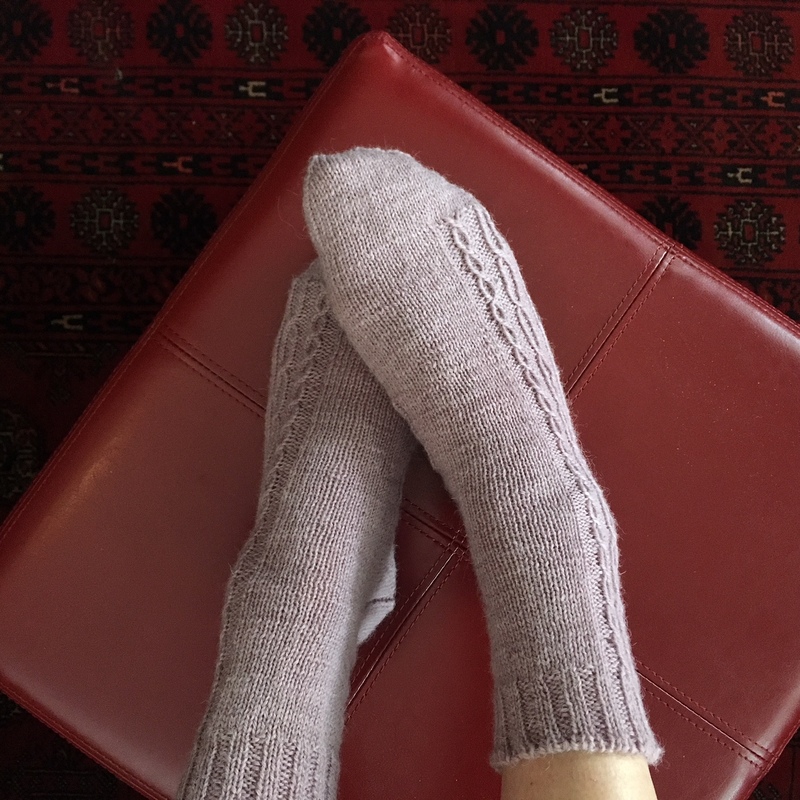 Do you have an interest in contributing to the Barbara Walker Knitting Project? Find out more on the Tatter website. While you’re there, check out the workshops and classes available at the workspace in Brooklyn, New York. 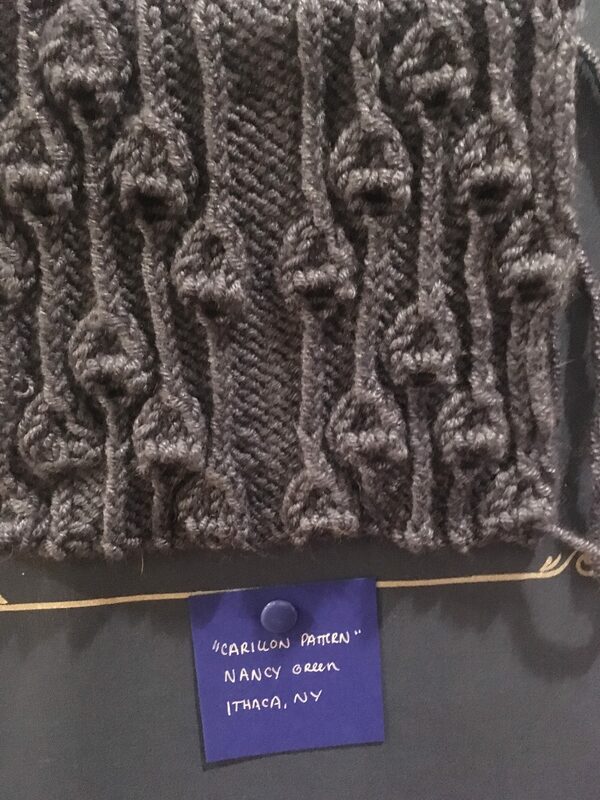 I fell in love with this stitch pattern, Carillon, which is named for bells in a bell tower, but which reminds me of seed pods. 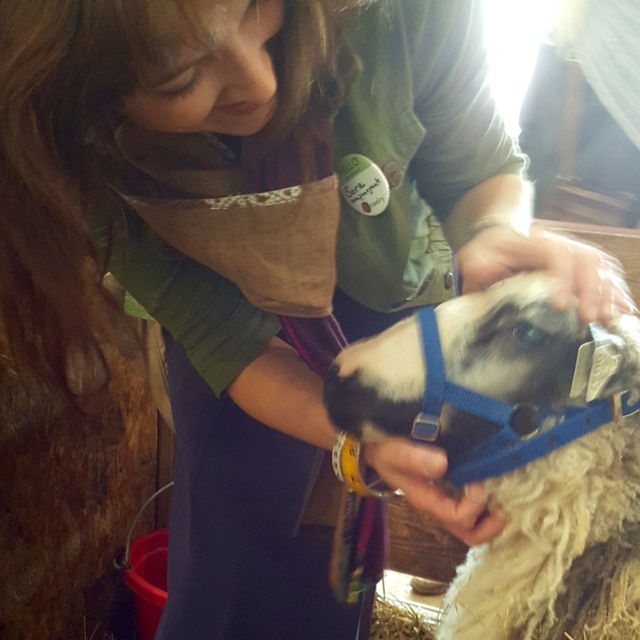 Mary Jeanne Packer of the Battenkill Fiber Mill is taking a trip to Denmark and invites you to join her this fall. The Knitters Tour of Denmark promises to be a delight for any fiber enthusiast. I’m so pleased to finally be wearing the Hog Island fiber that started out as a shared fleece with Emily of FibreTown. 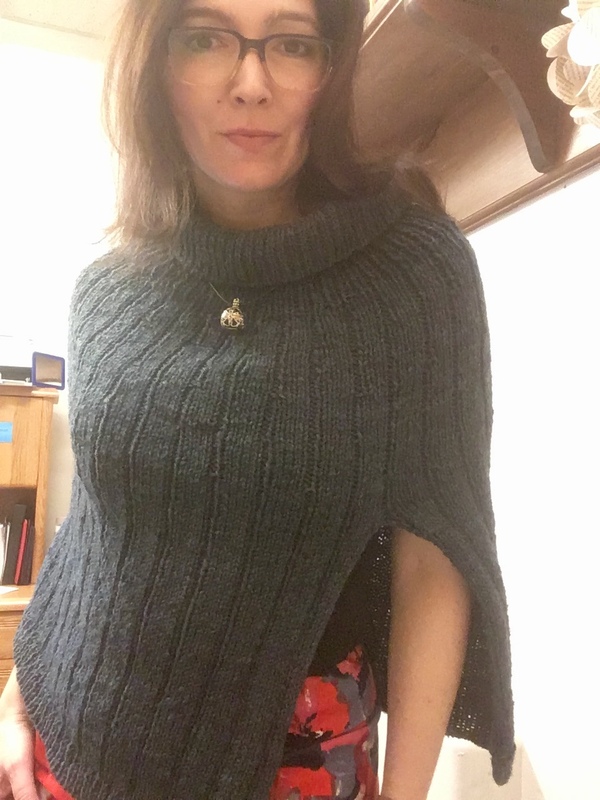 Over the course of a year and a half, I scoured the fleece, made carded batts, spun a three-ply worsted-weight yarn, dyed it with indigo, and knit a poncho of my own design. 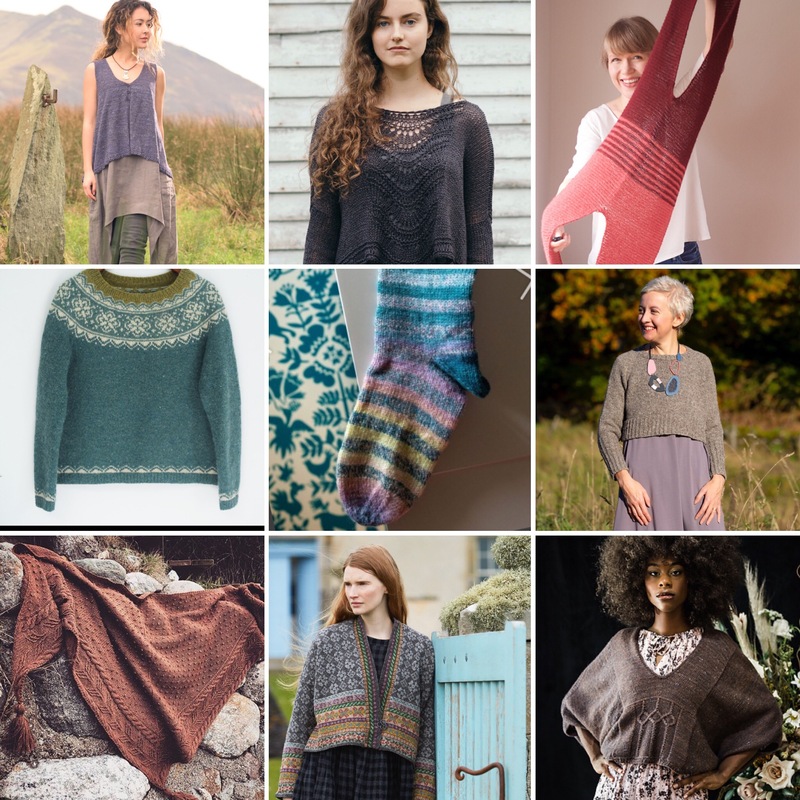 I’m working on Nimue (bottom right), one of the designs I’ve selected for the MakeNine challenge in 2019. I love the drape of silky wool, and the deep chocolate color I chose is very close to the sample pictured. I think this piece will be a good fit in my wardrobe; the weight of the garment makes it appropriate for several seasons. 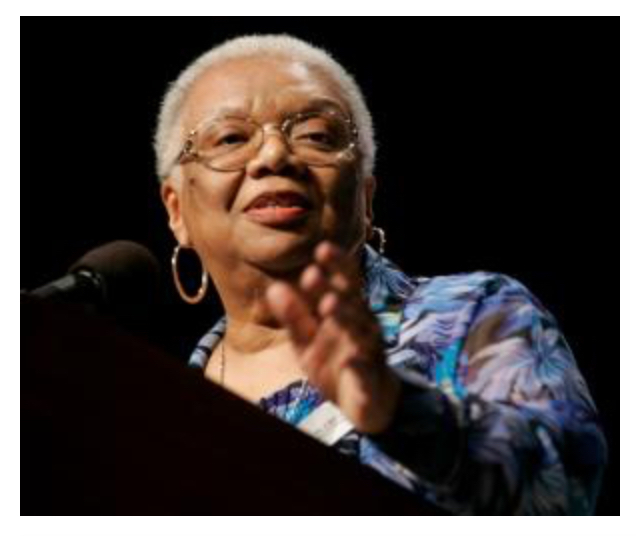 In this segment, I mention a few different entry points into the poetry of Lucille Clifton. If you’re new to Clifton’s work, the best way to begin, in my opinion, is “Homage to My Hips.” Even better, watch her read it! You can find this poem, and many other frequently-anthologized works, in her collection Good Woman: Poems and a Memoir. If you’re already familiar with Clifton, I suggest that you investigate Generations, which is the title of her memoir in verse and which appears at the end of Good Woman. When I first encountered it, about fifteen years ago, it really broke open what I thought was possible in terms of personal narrative, storytelling, and verse. To me, it is an American epic. Finally, I share a Lucille Clifton poem that has held personal significance to me over the past year: 1994.